911uk.com - Porsche Forum : View topic - Leaking windscreen washer reservoir. Not ps. Solved. 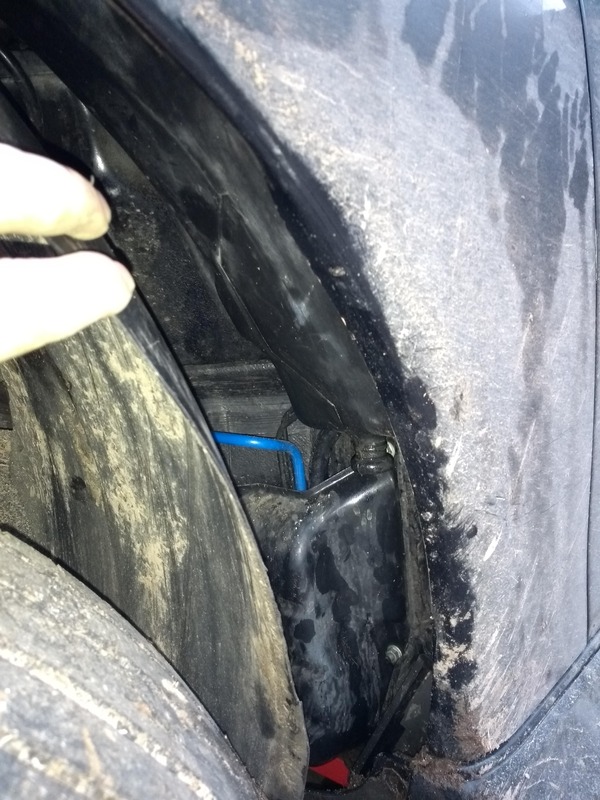 911uk.com Forum Index > 996 (1997 - 2005) > Leaking windscreen washer reservoir. Not ps. Solved. 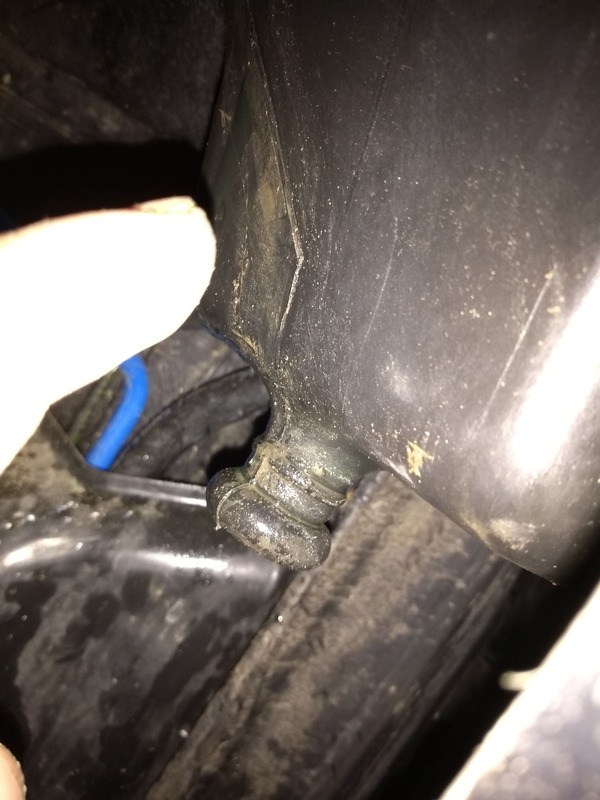 Posted: Sun Feb 10, 2019 9:23 am Post subject: Leaking windscreen washer reservoir. Not ps. Solved. 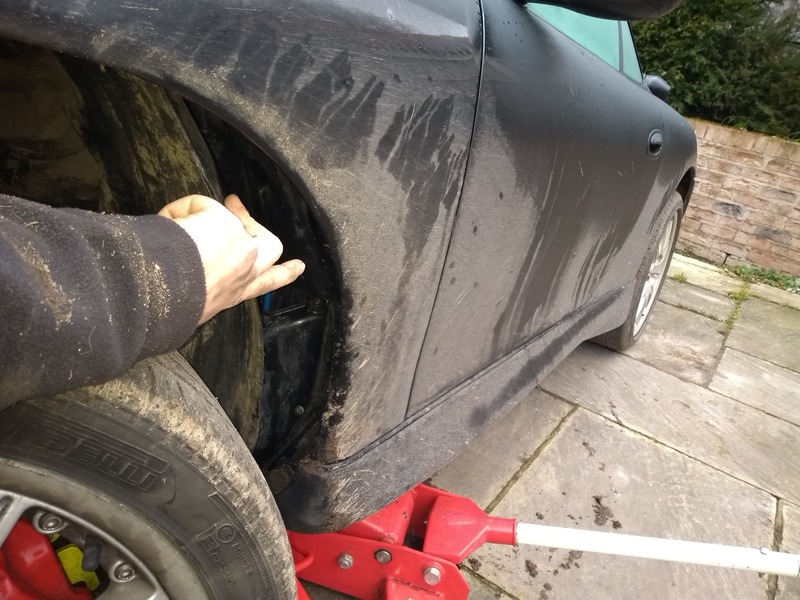 Unfortunately sprung a minor leak of ps fluid on the front nearside wheel well. I've popped the liner off and found a crack in the reservoir in the arch. I've had a brief google to find out what the part's called or how to replace it but I've had no luck. I've got the workshop downloads but I don't have my laptop on me at the moment. Any idea what the part's called? Front power return bottle? Assuming it's an easy enough DIY? I've got radiators in the post to do at the same time. Any photos of the part? That is your windscreen washer reservoir. Ah magic, that would make sense. Much appreciated. Easy fix is always a good one. Thanks. Mine was leaking from around the pump area. I didn’t bother finding out exactly where I just fitted a mint used bottle and pump for £15. Easy job but I did have my arches stripped anyway at the time. That’s the dirtiest 911 I’ve ever seen! Haha I have driven it for all of 4 days since last washing it. Just seems to hoover all the dirt at the moment. Black doesn't help but it does look great when clean.